Medal of Honor (formerly known as Medal of Honor: Operation Anaconda) is a first-person shooter video game and reboot to the 1999 original Medal of Honor. 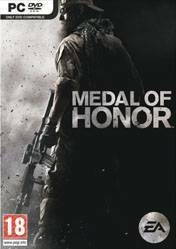 Medal of Honor's gameplay is designed to be authentic, as EA had hired several consultants from the United States military in order to give inspiration to the developers. Typical in-game objectives are similar to those issued in real life such as raiding terrorist hideouts, hostage rescues and undercover operations. The game is loosely based on parts of Operation Anaconda; specifically, the events surrounding the Battle of Roberts Ridge. The single player campaign takes place in Afghanistan, in 2002. For half of the game, players assume the role of a DEVGRU operator. For the remainder, the player alternates between the roles of a Delta Force sniper, as well as a U.S. Army Ranger of the 75th Ranger Regiment, and an AH-64 Apache gunner. Best game in the MOH Series !